A maiko (geisha apprentice) in kimono and traditional hairstyle is beating a tsutsumi (also tsuzumi) shoulder drum. 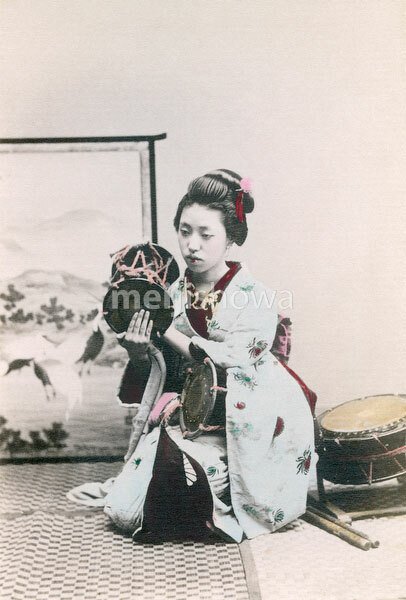 The same type of drums were used in Noh and Kabuki dramas. The tsutsumi is held with the left hand to the right shoulder, while the right hand is used to strike. The instrument has two drumheads supported by tension cords. These cords are pulled to change the pitch.